LM loves Num Noms. For those not in the know, they're a series of cute little characters which look a little like scoops of ice cream. They are all individually decorated and have their own sweet, or sometimes suprising, fragrance! 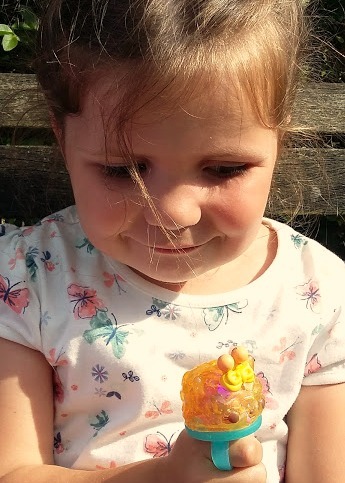 Series 4 sees the addition of nail varnish and glitter lip gloss to the range and LM was delighted to be sent some to try out recently. She received the Num Noms Series 4 Deluxe Lunchbox Sweets Sampler (RRP £16:99), two Num Noms Lights Season 2.1 mystery packs (RRP £4:99) and a copy of the brand new Num Noms magazine (£3:90). 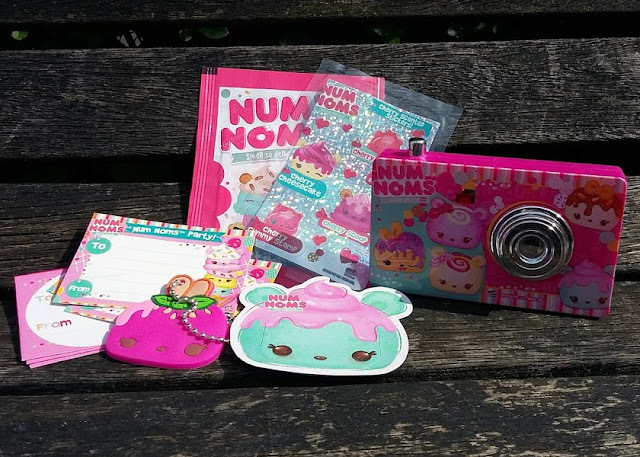 The Num Noms Series 4 Deluxe Lunchbox Sweets Sampler contains 12 Num Noms from the Sweets theme. One of these is secret and two are from the brand new sparkly lip gloss range! These are fancy cake and macaron themed and LM loved identifying each Num Nom from the included collectors menu. I think our favourite was Confetti Cookie, she's so pretty and she smells lovely! Our secret Num Nom was Lemon Pinkfill. She looks so cute with her little bunny ears. 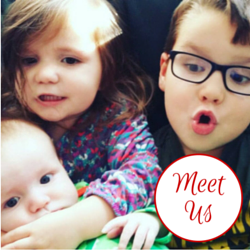 LM loves the cute little lipglosses included in the Sweets Sampler. She received Mint Swirl Gloss-Up and Lemon Drop Gloss-Up. Both smell lovely and offer a tiny hint of colour and a lot of sparkle. 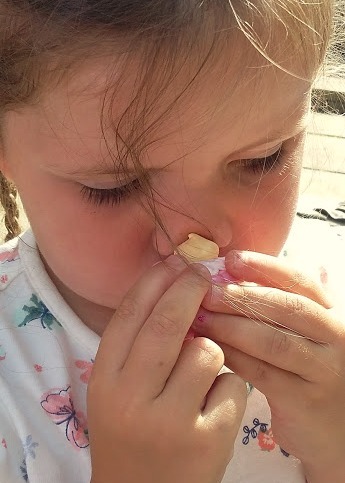 Perfect for every little girl to stash in her bag for days out. 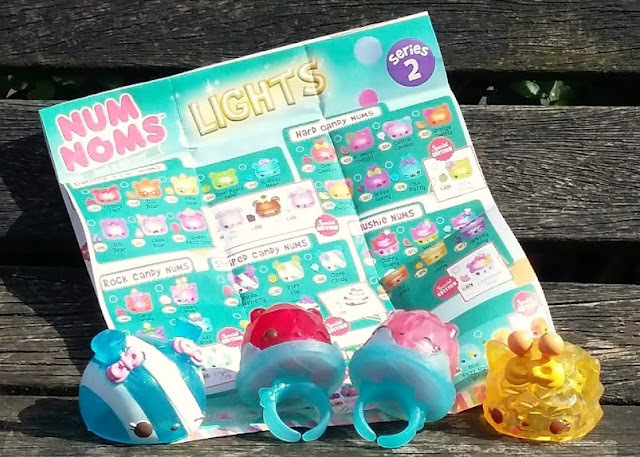 The Num Noms Lights Series 2.1 are the first that LM has owned. 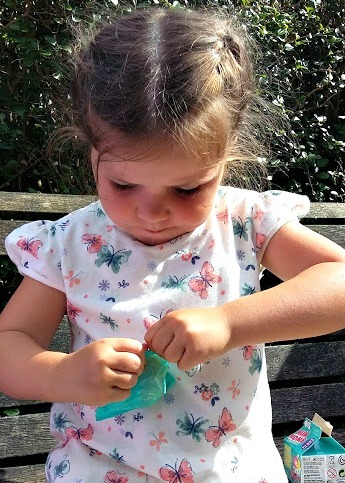 She received two mystery packs which are shaped like little milk cartons. 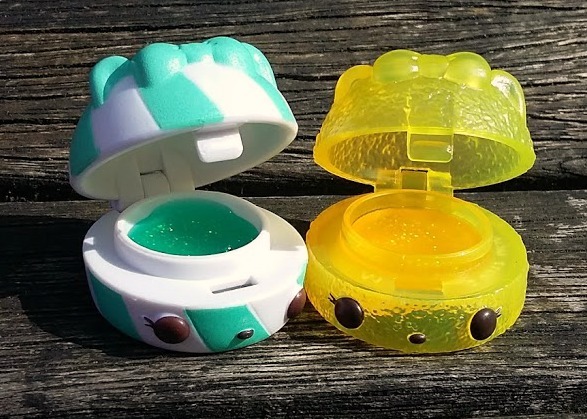 Inside each is a Num, a light up Nom and a ring so you can wear them! LM opened them to find Bridget Banana and Clara Candy, with light up Cherry Gem and Bubble Gem. These are so cute and LM loved wearing the rings when she put the Num Nom together. The Num Noms magazine was a real treat. LM, like most little girls, loves seeing her favourite characters in magazines, and seeing the treats that come bundled with them. This mag had so many free gifts including a click camera which shows a different Num Nom every time you look through the viewfinder and press the button, invitations to a Num Noms party, stickers for the new Num Noms collectible sticker album and some scented holographic Cherry stickers (LM's favourite scent), a keyring and a magnetic photo frame! 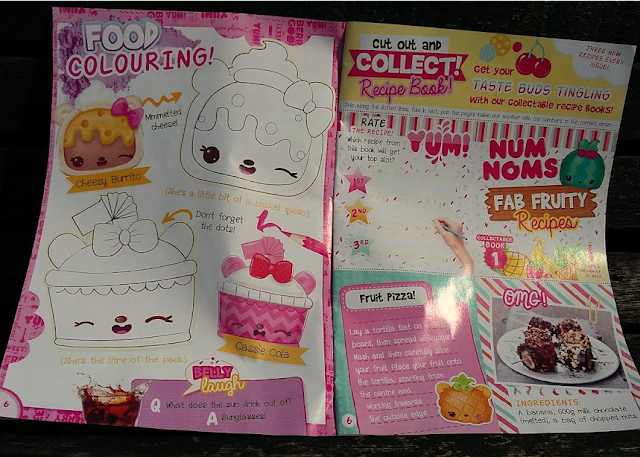 At £3:90 cover price this is a real bargain and the monthly magazine will make a great pocket money treat for Num Noms fans. In addition the mag features giveaways, puzzles and lots of features. LM wants to stick the full colour central poster on her bedroom wall. 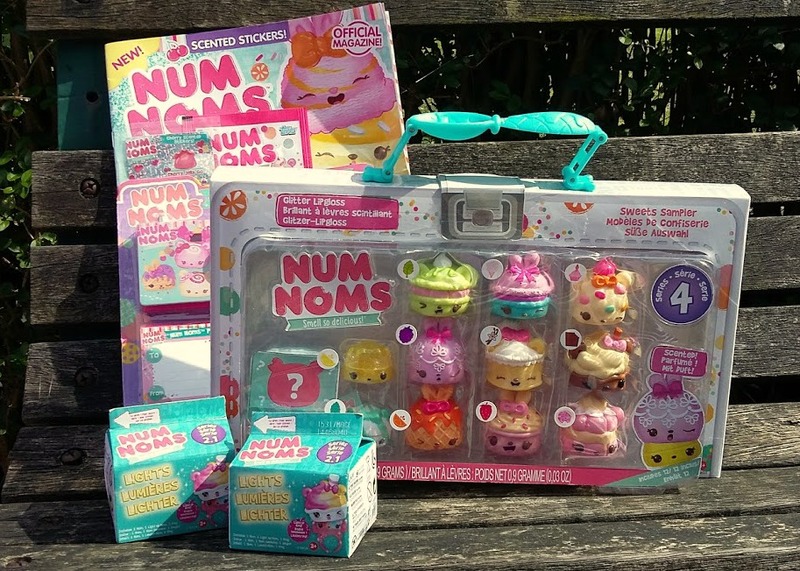 In addition to the items we have featured Series 4 will also see the launch of a Num Noms Collectors Case (a must have for us as we're constantly finding them around the house, it will be great to be able to keep all of LM's favourite Num Noms in one place), Num Noms Surprise in a Jar and a nail polish maker! Look out for the full range of Series 4 Num Noms and Series 2.1 Num Noms Lights in all usual stockists. 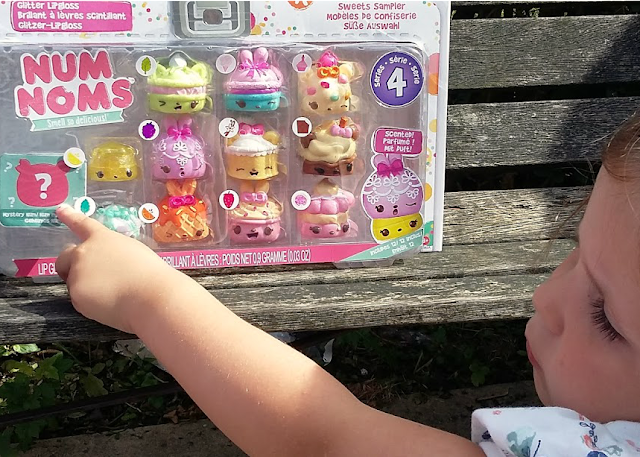 To find out more about Num Noms visit Num Noms from MGA Entertainment. Product supplied for evaluation purposes.